Posted May 4, 2012, in Faculty News. I was appointed as Director of the Rutgers Pinelands Field Station in 1994 with a split appointment between the Institute of Marine & Coastal Sciences (SEBS) and Biology Department (Camden). I had completed my Ph.D. from London University in 1976 and had had 15 years working at a government research station in the UK doing research on forest soils and consulting on forest nutrition of fast growing tree crops in a number of sub-tropical countries. I teach a number of soil and mycology related courses at both Camden and New Brunswick campuses and very much like the more family feeling of the Camden Campus. Coming back to academia has allowed me get back to fundamental research as well as applied research and we have a number of research programs underway at the field station ranging from investigating large scale forest manipulations on soil properties and organisms (in both NJ and Finland) to studying the impact of fungi on decaying leaves at the micro- and nano-scale of resolution. I am currently advising the research of four MS students from Camden and three Ph.D. students in the Ecology and Evolution Graduate program in New Brunswick. I serve on the editorial board of two journals and sit on the board of both the NJ Academy of Aquatic Sciences and the Pinelands Preservation Alliance. John Dighton recently returned from a two week trip to China where he presented a lecture on the role of soil fungi in nutrient and pollutant dynamics to a graduate class in the Beijing Forest University. In his role as president of the Soil Ecology Society, he co-organized with Dr. Feng Hu and participated in a workshop on Soil Ecology Developments and International Co-operations at the Agricultural University of Nanjing. 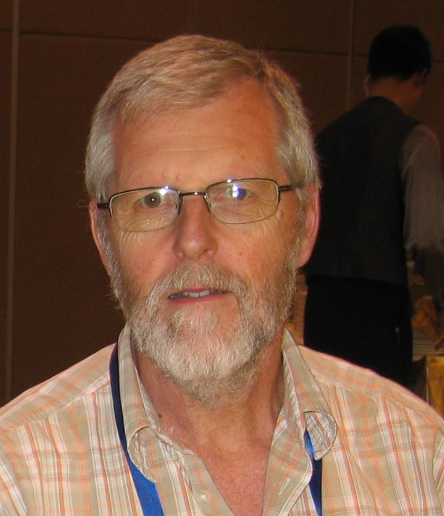 He then chaired a session on Soil Ecology and Secondary Metabolites and presented a paper entitled ‘Effects of Forest Post Harvest Residues and Soil Disturbance on Soil Ecology’ at the BIT’s First Annual World Congress of Biodiversity in Xi’An. Page last updated by Faculty of Arts and Sciences at 2:20 pm August 7, 2017 . This page was printed from http://fas.camden.rutgers.edu/2012/05/04/john-dighton/ at 1:05 AM Wednesday, April 24, 2019.